Congratulations J. M. Saint on signing with your agent. For J.M’s querying tale, check out this interview. Agent Rachelle Gardner asked if you’re in this for the long haul, and provided tips to ensure it stays this way (e.g. don’t ruin your reputation because of something you said on Twitter). 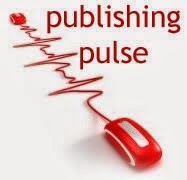 Want to find out what agents and editors are looking for? Look no further than Twitter. I’ve seen arguments lately as to whether or not author branding is necessary. Jami Gold posted on branding and how to make the most of it. It’s a great post that explains what branding is and what it isn’t. The year is rapidly coming to an end (depressing, huh?). Mary Keely talked about goal setting and planning for the remaining weeks of 2013. Agent Janet Reid provided insight as to why agents want big advances for their writers (verses royalties only). You’ve queried your book to small presses and one has offered you a deal. Should you query agents and let them know? Janet Reid answers this question here. And please read it before you accept the offer. If you read it afterwards, it’s too late.